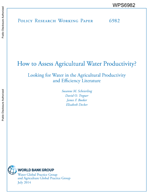 This report aims to contribute to the discussion on how to assess and possibly improve agricultural water productivity. It presents findings from a first attempt to survey the agricultural productivity and efficiency literature with regard to the explicit inclusion of water aspects in productivity and efficiency measurements. 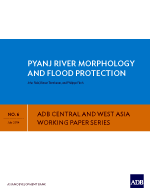 The focus is on studies applying single-factor productivity measures, total factor productivity indices, frontier models, and deductive models that incorporate water. 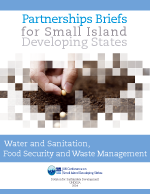 This report to the UN General Assembly focuses on the right to participation in the context of realizing the right to safe drinking water and sanitation, emphasizing that States have an obligation to ensure participation. 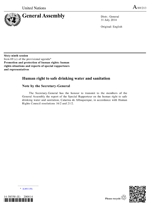 The UN Special Rapporteur on the human right to safe drinking water and sanitation seeks to provide guidance on what the right to participation requires, what elements are essential for ensuring active, free and meaningful participation, and what participation entails at various levels of decision-making. 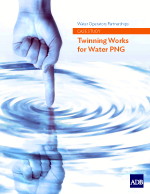 This study looks at the successes in twinning between Water PNG (Papua New Guinea) and Australia's Water Hunter utility. The study looks at the project through conception and implementation, noting the successes and challenges encountered under the titles: water quality: top priority; tackling non-revenue water; managing assets better; benefits of utility partnerships; master planning; and summarises with success factors in water utility twinning. 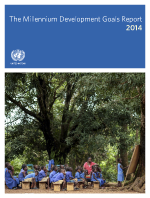 The Millennium Development Goals (MDG) Report, an annual assessment of regional progress towards the Goals, reflects the most comprehensive, up-to-date data compiled by over 25 UN and international agencies. The report acknowledges those MDGs that have already been met including access to clean drinking water and provides a statistical analyse of the future goals. 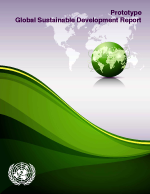 In goal 7 'ensure environmental sustainability', target 7. 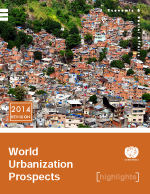 C focuses on the proportion of the population without sustainable access to safe drinking water and basic sanitation. Subscribe to the Bimonthly Publications Review. 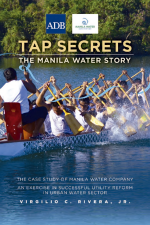 Produced by the UN-Water Decade Programme on Advocacy and Communication (UNW-DPAC), this review brings you every two months the latest publications produced by United Nations agencies and programmes on issues related to water and sanitation.